Designed to work in harmony with the way you live, the Frigidaire FFSC2323LP is loaded with features. The SpillSafe(R) Shelves, Counter-Depth Design, Cool Zone Drawer, and Clear Dairy Door offer plenty of space and storage options. PureSource 3 Water Filtration offers best-in-class water filtration so you get cleaner, better-tasting water at your fingertips. Total Capacity:: 22.2 cu. 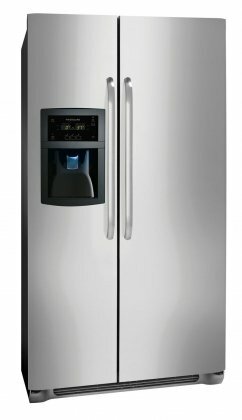 ft.
Refrigerator Capacity:: 14.2 cu. ft.
Freezer Capacity:: 8 cu. ft.
Total Shelf Area:: 22.6 sq. ft.
Refrigerator Shelf Area:: 16.5 sq. ft.
Freezer Shelf Area:: 6.1 sq. ft.
Store: zhannfranchu0 Condition: New (Open Box, or other) Price: $1178.10 Total Price: $1178.10 Buy It from zhannfranchu0 No returns. 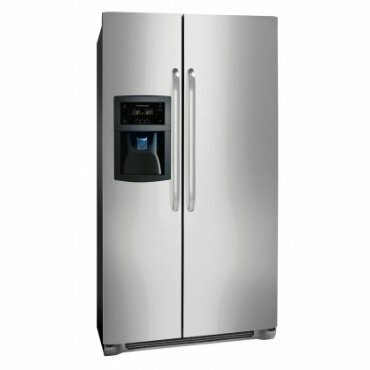 Store: Noble Appliance Center Condition: New (Open Box, or other) Price: $1182.09 Total Price: $1182.09 Buy It from Noble Appliance Center No returns. Coupon Details: Get $624.10 OFF automatically when you add this item to your cart!